Kojiki is the oldest chronicle in Japan. It is believed that two Gods created the first piece of Japan here at the island of Awaji. 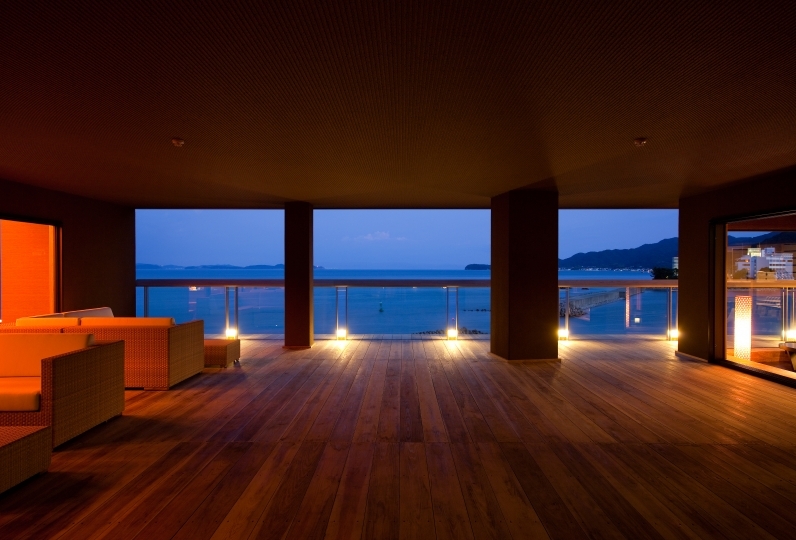 Hotel New Awaji is located on the east coast of the island overlooking the Straits of Kitan and Osaka Bay. There is an exclusive sky lounge on the top of Villa Rakuen which boasts the view of unreal and majestic scenery that nature unfolds. 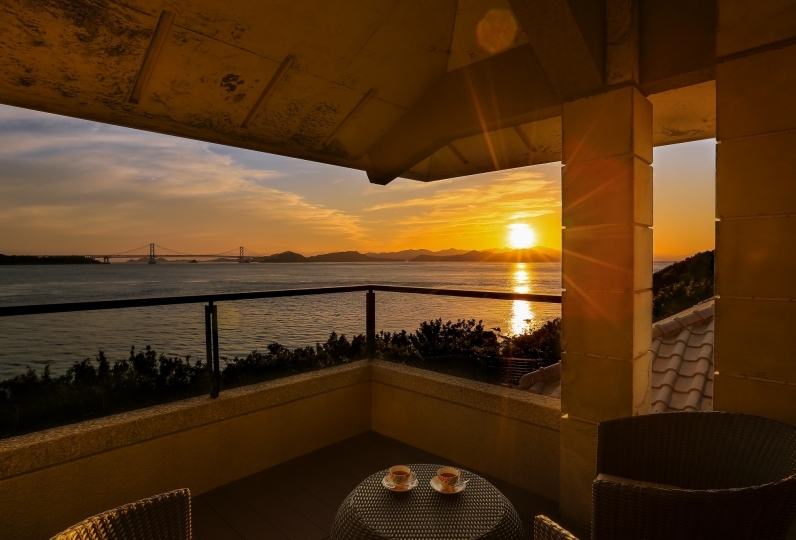 The panoramic view from the lounge of Kitan Straits, Osaka Bay, scenic Komoe beach, and fisherman's villages on the coast is as if looking at a large picture scroll. All guest rooms are Japanese style suites equipped with an outdoor bath. Spacious rooms with an observation terrace with a gorgeous view of the ocean and the endless sky seem all connected as one: It is a paradise. 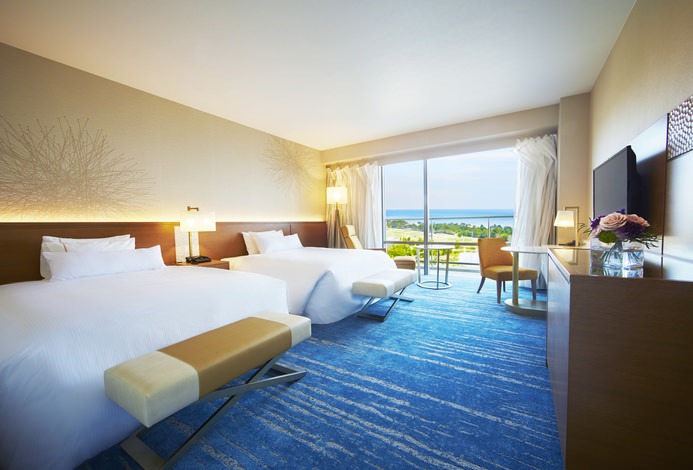 These spacious guestrooms are suitable for anniversary trips, family trips, or for other purposes. Please take advantage of this large space. 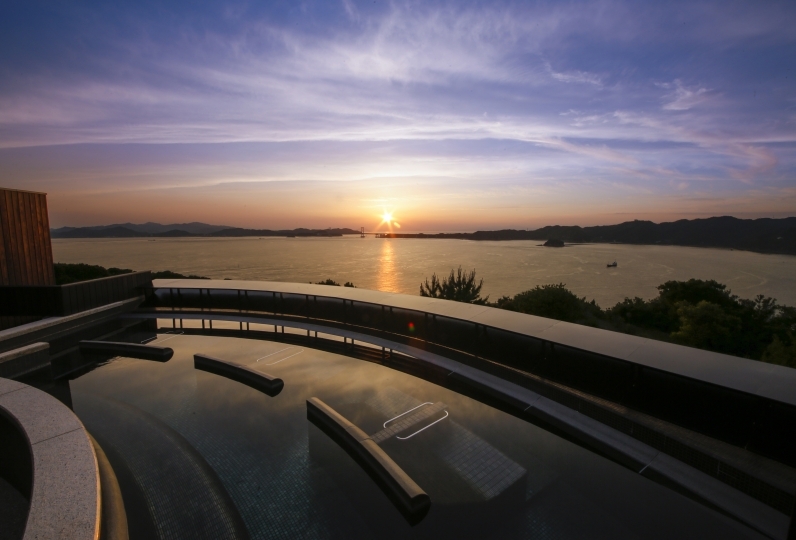 Awajishima Villa Rakuen offers an abundant seafood in season together with natural grown produces from the fertile farmland and the mountains of the island. Please enjoy Awaji's tasteful cuisine served in the guest rooms. 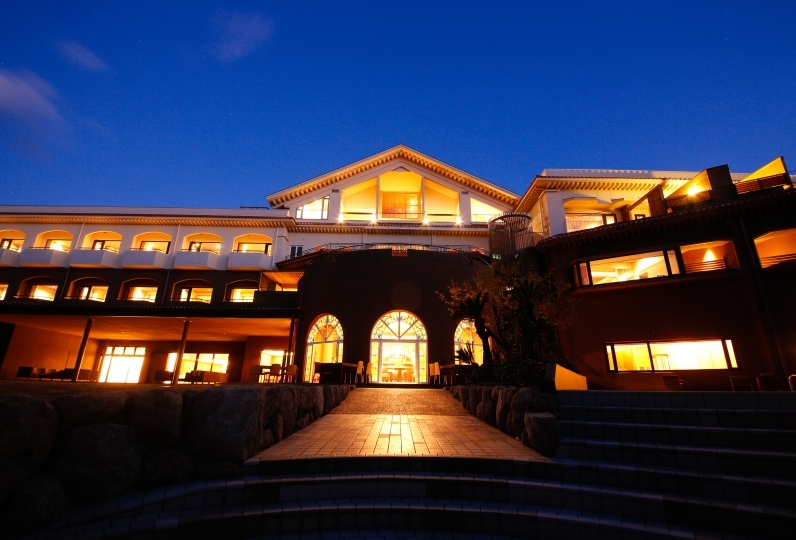 Hotel New Awaji Villa Rakuen, which remains in the best location on the island of Awaji, will certainly take your trip to the next level. It was the first visit in six months, but it was the expected hospitality. We responded very politely from the confirmation telephone before the accommodation, and I was able to stay in peace, although I was staying during pregnancy! Sense of distance with the person in charge of the room was just right, and I spent luxury time in the best room only for couple couple's slow time! The cleanliness of the room, the taste of the rice, nothing to say. I want to go there again! Thank you very much! 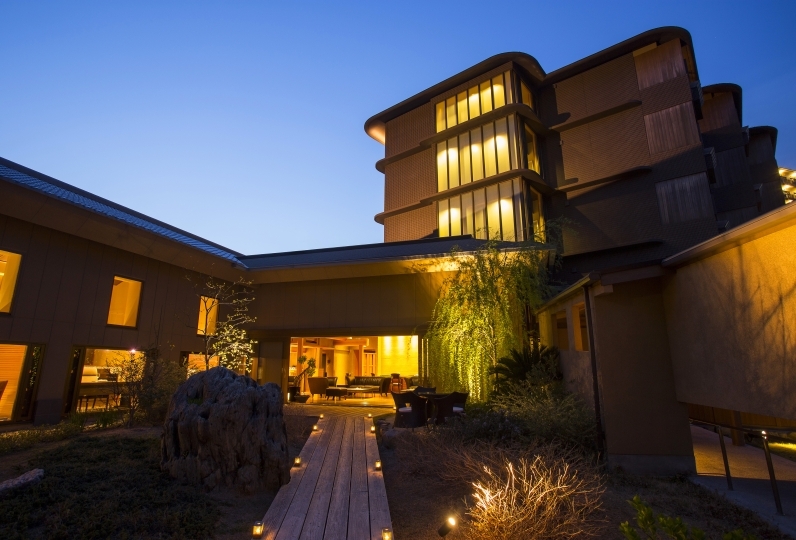 Guests of the Villa Rakuen can enjoy three different hot springs: Awaji-tanada-no-u, Kuniumi-no-u and Tennku-no-Shizuku. Each bath offers two types of hot spring water flowing directly from the source of Sumoto Onsen (simple Radon)and Komoe Onsen (rich in strong Sodium). For more details please refer to "information" below. Featuring “Cellcosmet”, high quality anti-aging cosmetic developed in Switzerland. Spa "Komoe" provides anti-aging treatment, weight loss program using an oxygen capsule, exotic orchid bath, and Germanium spa. *Reservation required. Make sure that you provide us with your needs in the comment section during your booking. Reservations only. Please note that the guests who arrive late to their appointment may be asked to change their time. Cigar Bar offers a moment of relaxation with a glass of scotch or beer in your hand. A quiet place for adults to enjoy a long night. Based on the idea of landscape of “tanada”(terraced rice paddies)which evokes the feeling of nostalgia in Japanese people’s minds, it has baths on three separate levels. The design of the bath is based on the story of Japan’s creation. Maisonette type bath that also has an infinity bath that fuses the ocean, sky, and hot spring together. The plan does not include hot spring tax (150 yen) per person. *Accompanying children under 2 years old stay free. Do not include children under 2 years old when booking for adults. Please indicate it in the comment section of the booking form. -JR Shin-Kobe station (express bus) approx 100 min. From various directions:  Bound for Sumoto Express bus Center.